Each vintage yields small lots with unique characteristics. This bottling is a blend of these special selections. 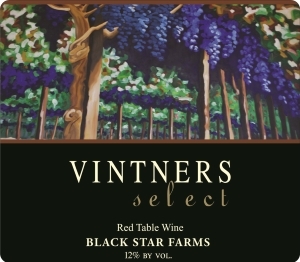 It is a full-bodied, dry red with rich dark fruit flavors that are complemented by hints of cocoa and spice. This wine is stellar now but, with appropriate cellaring, will develop exceptionally during the next three to five plus years. Enjoy this hearty, Cabernet Franc-based blend with robust meals including braised meats, stews and rich sauces. What we love about this blended red is its fullness and rich characteristics reminiscent of a Bordeaux-style blend. We aged it in a combination of newer French, European, and American Oak so the wine possesses more barrel essence than is typical for our premium reds. This is a fabulous sipping wine or one to enjoy with hearty cool weather dishes.